When scientists study wings on animals, they usually look at the shape of the wing and how that contributes to elevating the animal. 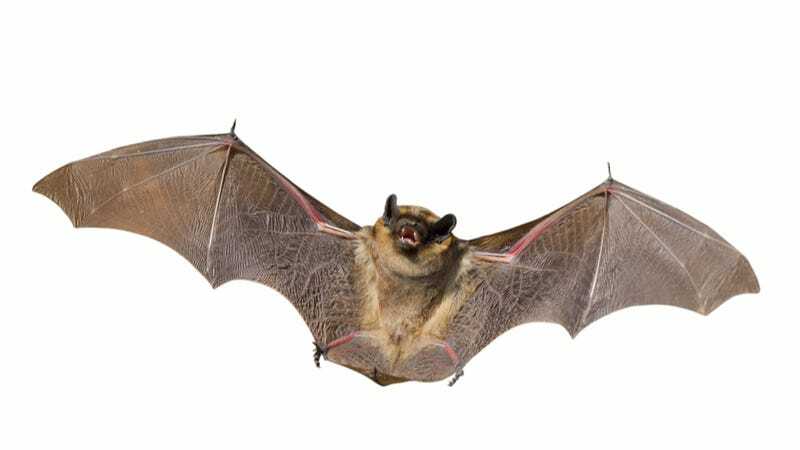 This time they examined the flexibility of the finger-like hinges in bat wings, and how the animals use that flexibility to draw in their appendages on the upstroke. The results suggest the tucking-in technique helps bats, and some birds that flap similarly, compensate for the mass of their relatively heavy, muscular wings. The study, which was funded by the U.S. Air Force Office of Sponsored Research, should lead to better designs for flapping vehicles—perhaps this autonomous micro air vehicle (brace yourself for dramatic voiceover), which could be used for things like searching for hidden weapons? "If you have a vehicle that has heavy wings, it would become energetically beneficial to fold the wings on the upstroke," said Sharon Swartz, professor of ecology and evolutionary biology at Brown and a senior author on the work, which is published in the April 11 issue of Proceedings of the Royal Society B. The team examined 1,000 frame-per-second videos of six species of 27 bats in flight. Watch one of them in action in the video below. They tracked markers on their wings to measure how frequently they flapped, their up and down movement, and how their wing mass was distributed in motion. To measure mass, the researchers cut the wing of a deceased bat (natural causes we hope) into 32 pieces and weighed each one. They fed all that data into an algorithm that determined the difference between flapping with continually outstretched wings, and using the inward articulation method. The results showed that even though retracting and again reaching the wings outward uses lots of energy, that loss is offset by the efficiency gained. "Retracting your wings has an inertial cost," Atilla Bergou, an author on the study and a physicist at Brown, said in a statement. "It is significant but it is outweighed by the savings on the up and down stroke." People who study such things always thought bats drew in their wings on the upstroke to reduce drag—which is still part of the story. But the new results add a new chapter that might help take vehicles like this to the next level.